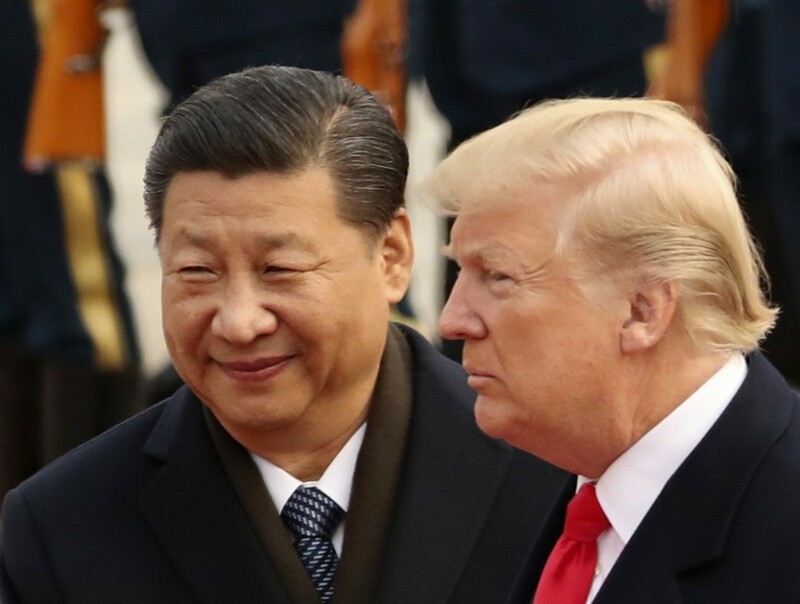 United States President Donald Trump said he will not meet Chinese President Xi Jinping before a March 1 deadline to avert higher American tariffs on Chinese goods, intensifying fears the two will not strike a deal before the end of a 90-day truce. Speaking to the reporters at the White House, Trump added that his meeting with Xi would take place soon but not before the trade deal deadline. He then said the two would "maybe" meet after that. Mnuchin and US Trade Representative Robert Lighthizer are scheduled to travel to China next week to continue for the third round of trade negotiations. The White House said in a statement that the United States and China made progress during bilateral trade talks in Washington, DC last week, but much work remains to be done. Treasury bond yields dropped, while the benchmark 10-year yield slid 4 basis points to a low of 2.66%. Canada's main stock index posted a triple-digit decline in late-morning trading as the Toronto market was hit by broad-based weakness and US markets sank into the red. The U.S. agreed to suspend its plans to raise tariffs on $200 billion of Chinese goods to 25% from 10% to give negotiators a chance to settle issues. But the likelihood of reaching a deal in the near future is waning. The S&P 500 hit a session low shortly after the news that Trump was unlikely to meet Xi this month was first reported by CNBC. Also pressuring markets was a report out Thursday that President Trump is planning to sign an executive order next week which would ban Chinese telecommunications equipment from USA wireless networks. "They're making a mistake because they need to be prepared", he said. But top White House economist Larry Kudlow told Fox Business on Thursday that while Trump was "optimistic" about prospects for a deal, there remained a "sizeable distance" separating the two sides. The president has said repeatedly that the tariffs would go up if no deal has been reached, and that position has not changed, one source said.